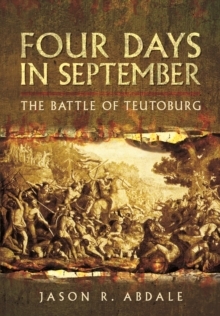 In the year AD 9, three Roman legions were crushed by the German warlord Arminius in the Battle of the Teutoburg Forest. This event is well-known, but there was another uprising that Rome faced shortly before, which lasted from AD 6 to 9, and was just as intense. This rebellion occurred in the western Balkans (an area roughly corresponding to modern Croatia, Bosnia and Herzegovina, Slovenia, Montenegro and parts of Serbia and Albania) and it tested the Roman Empire to its limits. For three years, fifteen legions fought in the narrow valleys and forest-covered crags of the Dinaric Mountains in a ruthless war of attrition against an equally ruthless and determined foe, and yet this conflict is largely unknown today. 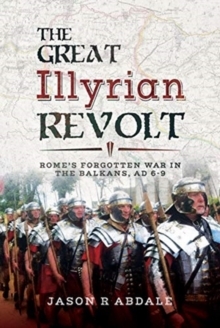 The Great Illyrian Revolt is believed to be the first book ever devoted to this forgotten war of the Roman Empire. Within its pages, we examine the history and culture of the mysterious Illyrian people, the story of how Rome became involved in this volatile region, and what the Roman army had to face during those harrowing three years in the Balkans.